The Alzheimer’s Diagnosis: Now What? 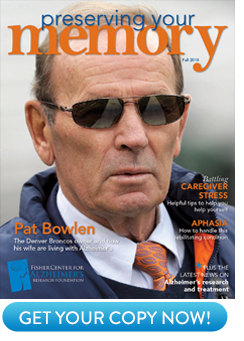 Learning of an Alzheimer’s diagnosis is a profound event in the lives of a person and the family. Where do you go from there? Here’s what you need to know. A diagnosis of Alzheimer’s disease can be devastating, not only for the person receiving the news, but also for their family. Before long, they all face a difficult, urgent question: What do we do now? The many decisions to be made can be overwhelming. It’s best to focus on becoming educated about the disease and connecting with others who have been in the same situation. Look into possible drug therapies, enlist the right specialists and make simple but beneficial lifestyle changes. If the diagnosis is confirmed, the entire family should learn about Alzheimer’s to understand the issues their loved one is facing. In basic terms, Alzheimer’s occurs because of a build-up of plaque and tangled proteins inside the brain in the areas that control thinking, memory, mood and other functions. Having Alzheimer’s means these changes in the brain impair a person’s mental abilities to the point where they need help with daily living. At this early stage, the family should meet to discuss medical, legal and financial issues and learn their loved one’s preferences for care. Completing healthcare power-of-attorney forms is important. Also, a person with Alzheimer’s will need more and different care as the disease progresses—learning about options for future care and how to pay for it must be discussed. Another topic to discuss is FDA-approved drug therapies that can help in the early stages of Alzheimer’s and possibly even in later stages. These medications—cholinesterase inhibitors called Aricept, Exelon and Razadyne, and another type of medication, Namenda—won’t stop the disease, but they can improve learning, memory and attention span and slow the progression of symptoms for six months to a year in some patients. There is also evidence that they may slow disease progression over the long term, if taken chronically. Small cautions families to avoid a common mistake with these drugs: “Some patients take them and don’t experience much improvement right away, or they improve slightly and after a while they start worsening, so their family takes them off the medications. Studies show, however, that if the drugs are producing benefits and you stop these medications too soon the patient might decline more rapidly, so even if symptoms don’t improve substantially, staying on these medications can help slow symptom progression.” It is also important to realize that cholinesterase inhibitors, like most drugs, can have unwanted side effects. So it is important to keep the patient’s physician informed about any changes in well being that occur while using these drugs. While dealing with all of these issues, it’s essential to team up with the right healthcare providers. Many primary-care physicians can competently treat people with Alzheimer’s. 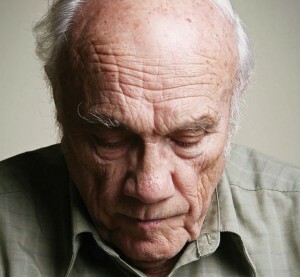 Ideally, a neurologist, geriatric psychiatrist or geriatric internist should also provide care. Social workers and psychologists can help family members learn new coping skills. Many university medical centers with a focus on Alzheimer’s have teams of professionals who care for families. Food for thought: “What we eat affects our brain function,” says Small. “Scientific evidence points to foods that promote brain health and others that are best to avoid.” Emphasize complex carbohydrates such as whole grains and avoid processed foods; eat omega-3 fats from fish at least twice a week to protect the brain and stabilize mood; fruits with a high level of antioxidants such as berries, prunes, plums, apples and apricots may help boost brain function. Reduce stress: In addition to causing a variety of ailments from ulcers to heart disease to depression, stress can also affect brain health because it releases hormones that damage the brain’s neurons and weaken memory. Getting plenty of sleep, adding aerobic exercise to the daily routine and giving meditation or yoga a try can protect someone with Alzheimer’s from stress. Just as important, cultivating fulfilling friendships and asking friends for help when necessary can lighten the load.